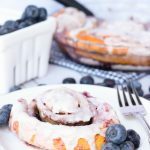 These Shortcut Blueberry Cheesecake Cinnamon Rolls use store bought cinnamon rolls and a homemade blueberry cheesecake filling to create a delicious breakfast or brunch that’s perfect for the weekend! 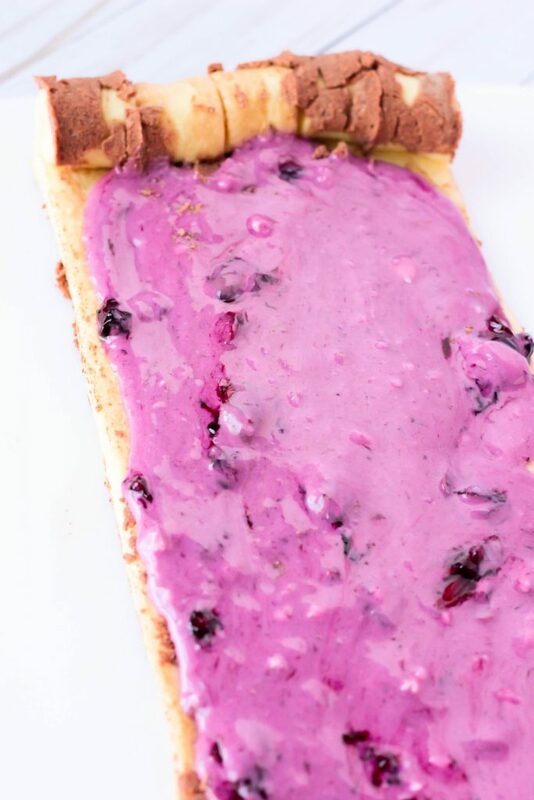 Make the blueberry compote the night before for an even faster morning treat! 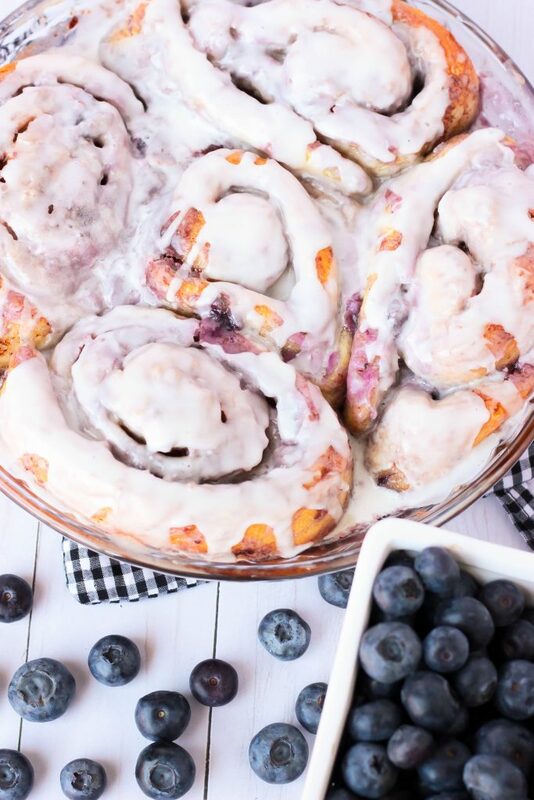 Cinnamon rolls are the best, y’all! 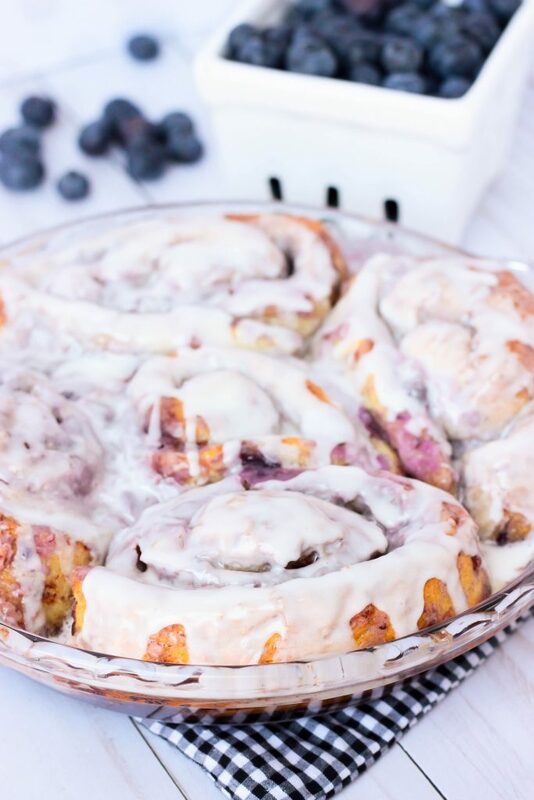 There is just something that’s pretty satisfying about layers of cinnamon and sugar rolls up into perfectly baked rolls and drizzled with cream cheese icing that makes me stop in my tracks. If we’re being honest though, the center of the cinnamon rolls is what a really want. I love regular ol’ cinnamon rolls but these rolls right here are are not any ol’ plain ol’ cinnamon roll! 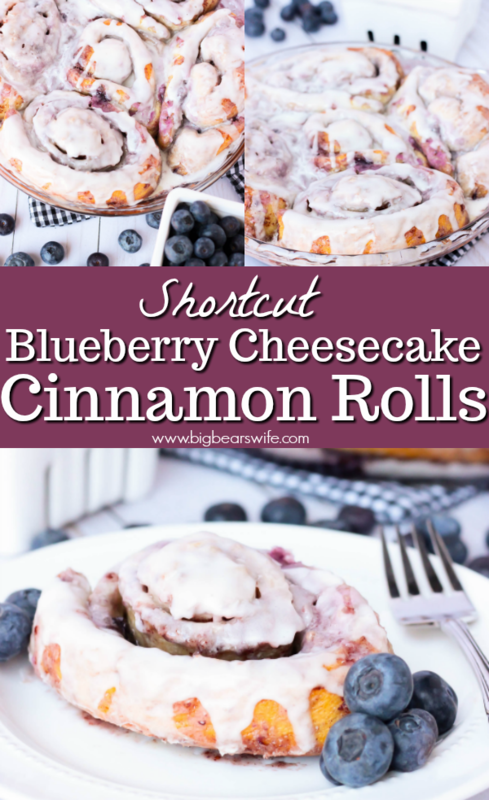 These beauties are Shortcut Blueberry Cheesecake Cinnamon Rolls! Look at these bottles y’all. 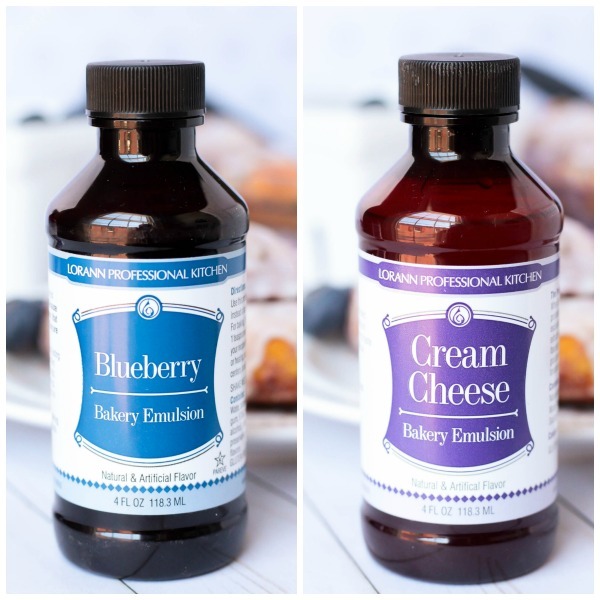 These are Bakery Emulsions and the past few weeks I’ve been experimenting with them because I got a nice package delivered to me from LorAnn’s for #BrunchWeek. I’ve seen these at the store before but never thought to get them because I normally just stick to extracts when I’m baking but these were fun to try out. I really loved them because the flavors doesn’t bake out like some extracts can. I used them for these cinnamon rolls, for a banana pudding I made for a family dinner the other week (a banana one they sent me, not the blueberry hahaha) and for a batch of banana ice cream! The were the emulsions are pretty dang awesome and I love the amount of flavor options that they have. Now look, I’ve made cinnamon rolls from scratch. I love them. I do. 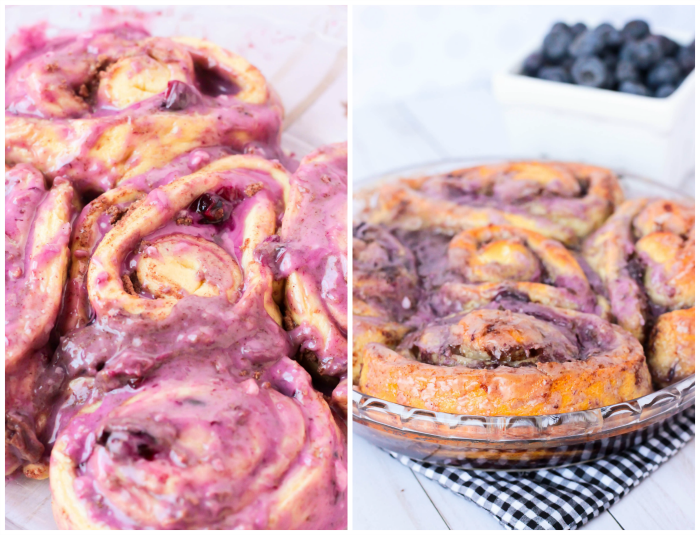 I’ve made Cinnamon Buns Glazed with Vanilla Coffee Infused Icing and Chocolate Chip Banana Rolls using a great from scratch dough recipe, but this week called for canned cinnamon rolls when I wanted to experiment with making Shortcut Blueberry Cheesecake Cinnamon Rolls. 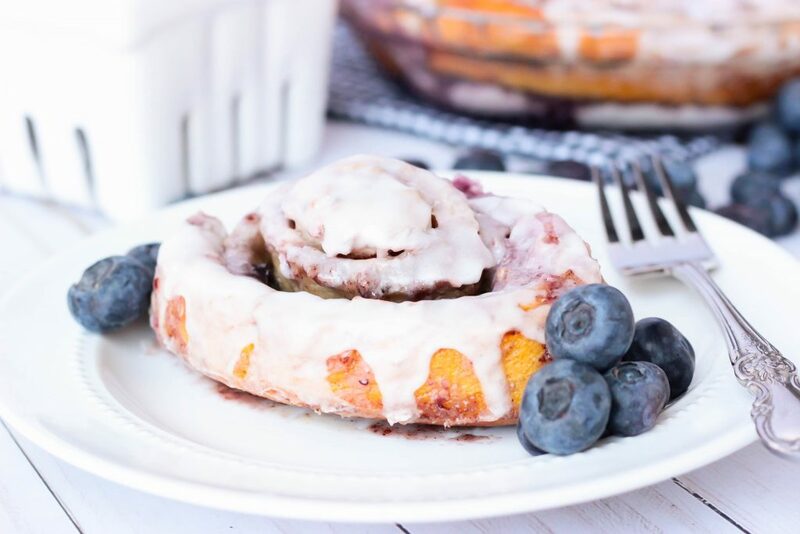 Canned cinnamon rolls are fantastic on their own, but I love to add a few little touches to them to transform them into new flavored cinnamon rolls. I used the giant refrigerated cinnamon rolls for these rolls. Don’t get the little puny ones. The big ones are where it’s at. I made an easy cream cheese blueberry spread using cream cheese, powdered sugar and some of my homemade blueberry compote. If you don’t want to make the blueberry compote, you could probably use blueberry jam, but don’t hold to that because I always use the blueberry compote. 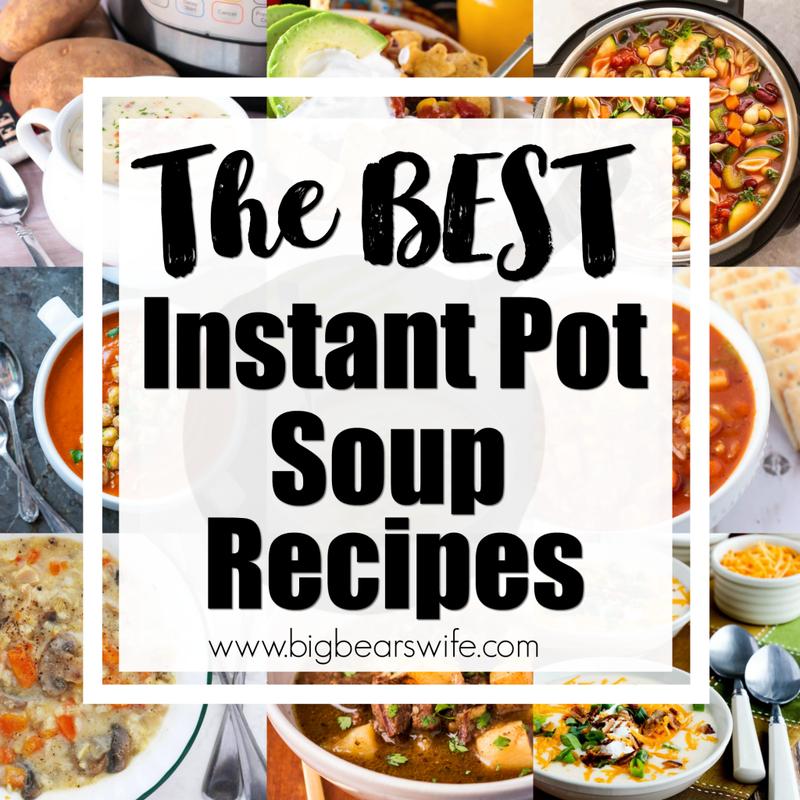 It’s super easy to make and I just keep the rest in the fridge for ice cream topping, muffins, pancakes, etc. However, use any fruit you want. I’m pretty sure that these would be fantastic as strawberry rolls or blackberrie rolls. 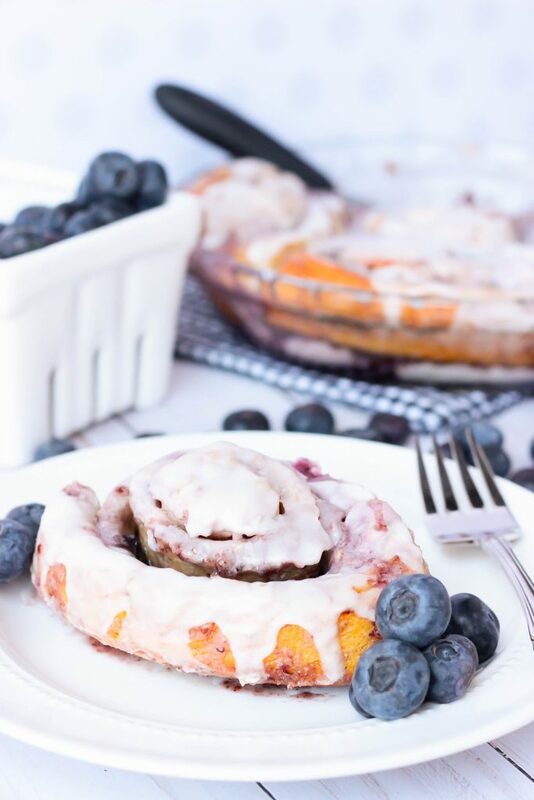 Ohhh I bet a banana cinnamon roll would be great…although you would probably just smash a banana into the cream cheese and sugar mixture for the center instead of making a compote. I craving them again already! Don’t make the filling too liquid or it’ll pour out when you roll them back up. Add a little bit of the blueberry mixture to the cream cheese at a time to make the filling. 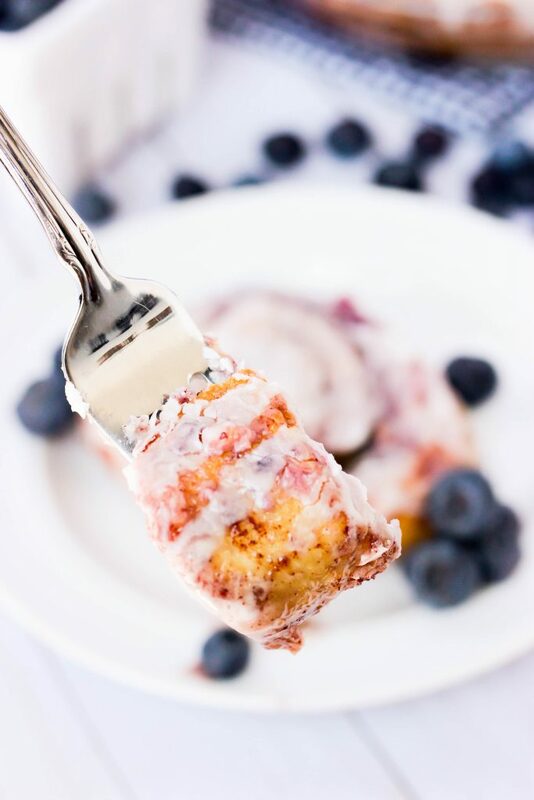 These Shortcut Blueberry Cheesecake Cinnamon Rolls use store bought cinnamon rolls and a homemade blueberry cheesecake filling to create a delicious breakfast or brunch that's perfect for the weekend! 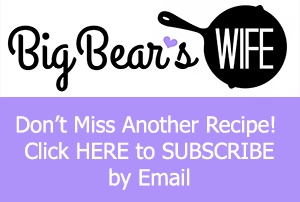 Make the blueberry compote the night before for an even faster morning treat! In a medium sauce pan add 1 cup of blueberries and the water. Stir in the honey. Heat over medium heat until it starts to boil. Add the sugar and stir. Add the rest of the blueberries and let simmer for 3-4 minutes. Remove from heat and let cool. Once powdered sugar is mixed in, slowly adding in somewhere between 1/4 cup and 1/2 cup of blueberry mixture. Add just enough and mix until it because a smooth blueberry like paste. Remove cinnamon rolls from package and unroll them. 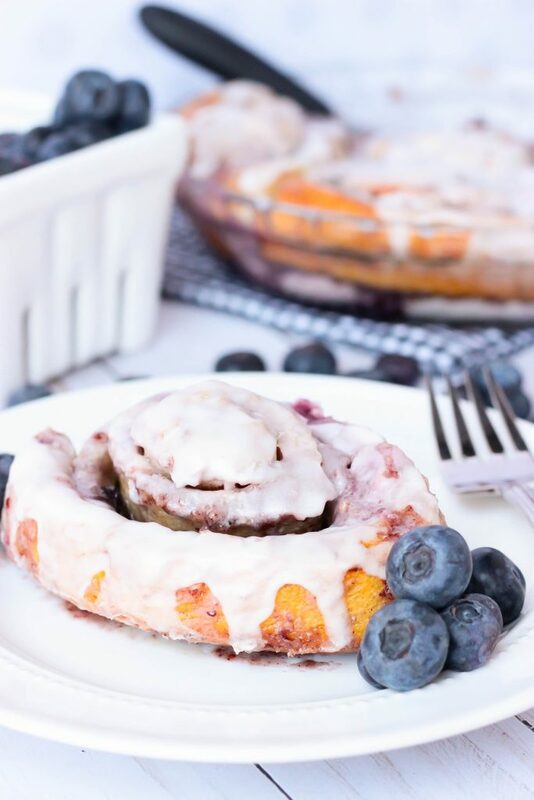 Spread blueberry mixture all over the cinnamon rolls insides. Roll Cinnamon rolls back up and place into a buttered pie dish, or a large baking dish. 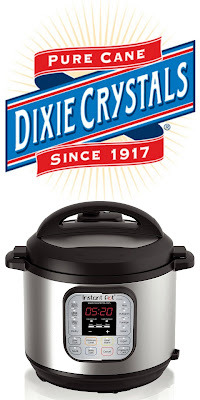 You will need 2 pie dishes if using those. Baking in preheated oven for 30 minutes. While cinnamon rolls are baking, spoon icing from cinnamon roll package into a small bowl. Add in 1 teaspoon Cream Cheese Bakery Emulsion (extract). Stir until smooth. As soon as cinnamon rolls are done, remove them from oven and drizzle with cream cheese frosting. 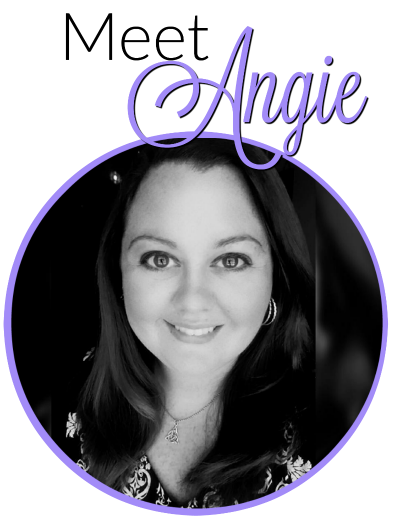 When serving, place cinnamon roll on place and drizzle with blueberry syrup from the bottom of the pie dish! Simple and delicious. We’ve been searching for an easy cinnamon roll recipe and after trying many we were about to go back to Pillsbury. We made these yesterday morning and they were delicious! A definite keeper. Perfect amount of cinnamon, and the cream cheese frosting was fabulous! The cinnamon on the bottom of some of the rolls even caramelized a bit for a perfect chewy texture. 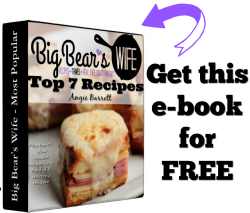 Thanks for the great recipe!! Love semi homemade recipes and this one sounds like a winner.